On October 7th and 8th, 2011, the Bisbee Mining and Historical Museum will again sponsor the Bisbee Turquoise Hunt. In the 1950’s and 60’s, Phelps Dodge, in order to expose the high grade copper ore, extracted lower grade ore along with deposits of turquoise into dump trucks and hauled them aways. 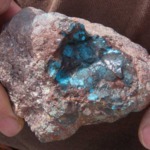 Miners and company employees who recovered these precious stones from the dump, against company rule, were the only source of this famous Bisbee turquoise. In 1972, Phelps Dodge leased the right to recover the turquoise from the dump to Bob Matthews who sold most of the tuquoise to Durango Silver, CO. Durango Silver now owns the largest collection of Bisbee turquoise. Click on the link to see a slide show of Bisbee turquoise http://ow.ly/2huoj from bisbeeturquoise.com. Some of the biggest turquoise recovered from last year’s Hunt were found by professional jewelers. 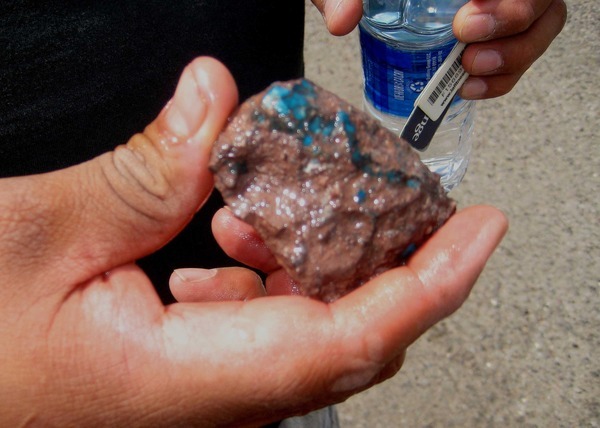 Unlike amateurs who were happy to find tiny pieces of turquoise by flipping over rocks and digging into dirt, they scanned the ground for big ones. And, they found big ones. This one was found by Olin, a jeweler from Phoenix. This was his second time to the Bisbee Turquoise Hunt. You’ll see why when you see the picture below. A darker turquoise, potentially worth $1000 when cut. This one was found by Bisbee’s own Rock Man, Bruce Mead. A larger rock measuring 4+ inches across, potentially worth $300. Why don’t you join the professional jewelers and spend a couple of hours hunting for treasure? Oct 7th, 2011, Friday, is open only for members ($20) of the Mining Museum. Oct 8th, Saturday, is open to the public ($30) . For more information, contact the Bisbee Mining and Historical Museum 520-432-7071. Wine Tasting Fest: 4-7 pm Saturday. Sample more than 50 Old and New World wines. This event is guaranteed to be an afternoon of great food, music and fun. www.bisbeerotaryclub.org or 520-432-3554. About us: Originally built in 1903 as the YMCA, a registered historical landmark; renovated in the 1980’s into a 17-unit apartment building; now it is fully furnished for travelers to Bisbee and Southeast Arizona a place to curl up for the night ~ a home away from home, instead of just a hotel room. 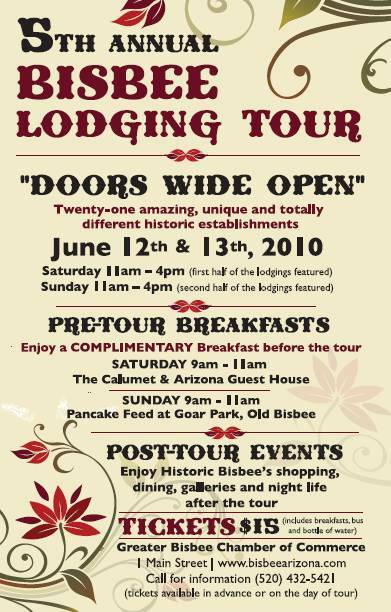 Discover 21 amazing, unique and totally different historic establishments at the 5th Annual Bisbee Lodging Tour in beautiful Bisbee, Arizona on Saturday, June 12 from 11 am to 4 pm and Sunday, June 13 from 11 am to 4 pm. Tickets are just $15 for either one or both days, and include 10 different lodging facilities on each day, plus free rides on a bus shuttle, water and two complimentary breakfasts. On Saturday morning, from 9 to 11 am the Calumet & Arizona Guest House in the historic Warren neighborhood is offering a free breakfast in its gracious Victorian dining room to all tour participants. On Sunday morning there will be a free pancake breakfast in Goar Park, in downtown Old Bisbee. Go to both if you like! Tickets will be available in advance from the Bisbee Chamber of Commerce. Either telephone 520 432 5421 or send an email <chamber@bisbeearizona.com>. You can also purchase tickets on either Saturday or Sunday morning at the chamber office at 1 Main Street, Old Bisbee or at the Bisbee Visitor Center across the street. The Calumet & Arizona Guest House will also have tickets for sale on Saturday morning, 608 Powell St, in Warren District. All lodging establishments on the tour are locally owned or managed. As participants on the tour, you will get an insider’s view of Bisbee’s architectural heritage as well as how newer buildings add to the character of this former copper mining town. Among the unique lodgings are a B & B that was once a schoolhouse and another that was a mining executive’s home. You can visit a guesthouse that was originally a miner’s cottage with breathtaking, panoramic views, and an historic hotel that played host to such notables as Theodore Roosevelt and John Wayne. (It is said by some to also have ghosts!) On the tour there will be a vintage trailer court and a Route 66 style motor court; an 1890’s inn that was once a miners’ boarding house and an inn in the infamous Brewery Gulch. 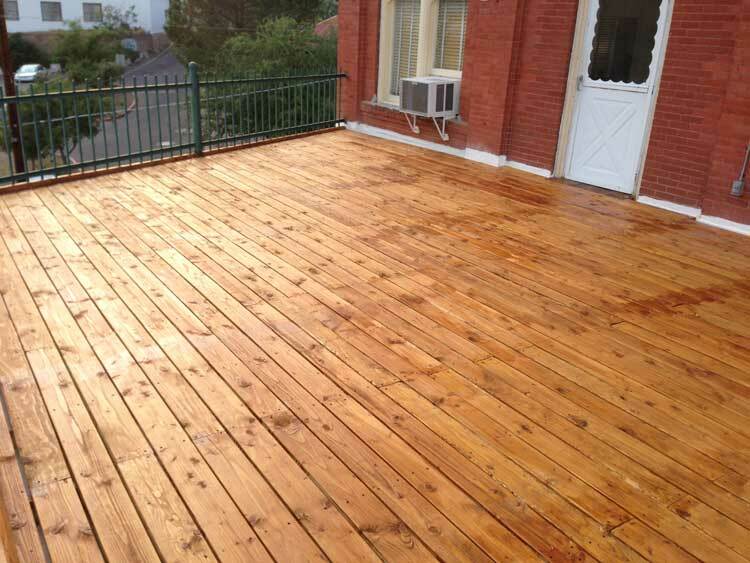 There are suites that are in the former YMCA building and another that has a hidden garden. There are more lodgings open for this tour than can be seen in one day, so come on Saturday, stay overnight, enjoy Bisbee’s nightlife — live music by Train Wreck at the Bisbee Coffee Shop patio, 4 – 8 PM, galleries open along Main Street — and take in the second half of the tour on Sunday. 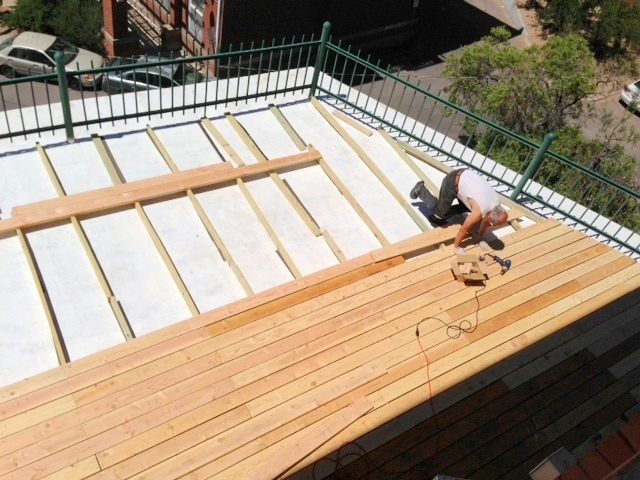 The City of Bisbee is known worldwide for its old world charm and new world charisma. Located approximately 90 miles southeast of Tucson, Bisbee is Arizona’s premier destination for arts and culture, Western heritage, urban hiking, unique shopping and first class restaurants. For tourist information contact the Bisbee Visitor Center at 520 432 3554 (1-866-2BISBEE) or visit <www.discoverbisbee.com>. The tour is sponsored by the Bisbee Chamber of Commerce. How can we make this Lodging Tour better? How about FREE? Gym Club Suites will give you two free tickets ($30 value) to the Lodging Tour if you stay with us both Friday (June 11th, 2010) and Saturday (June 12th, 2010) nights – limit two tickets per unit. Must call to make your reservation for the free tickets. This offer ends 6/2/10 6pm. Be sure to take advantage of the two free breakfasts — Joy of Calumet serves a fabulous breakfast. You don’t want to miss it. Remember to turn in your ticket to any of the participating lodges, the Chamber or the Visitor’s Center for a chance to win prizes including free night’s lodging, free dinners for 2 and free massages. Go to http://bisbeelandmark.com/roomsnew.html to pick you favorite unit. You can also find out what other events are scheduled for that weekend from this link: www.bisbeelandmark.com/BisbeeEvents.html. Feel free to call (520-234-5921) or email (reservations@bisbeelandmark.com) us if you have any questions. 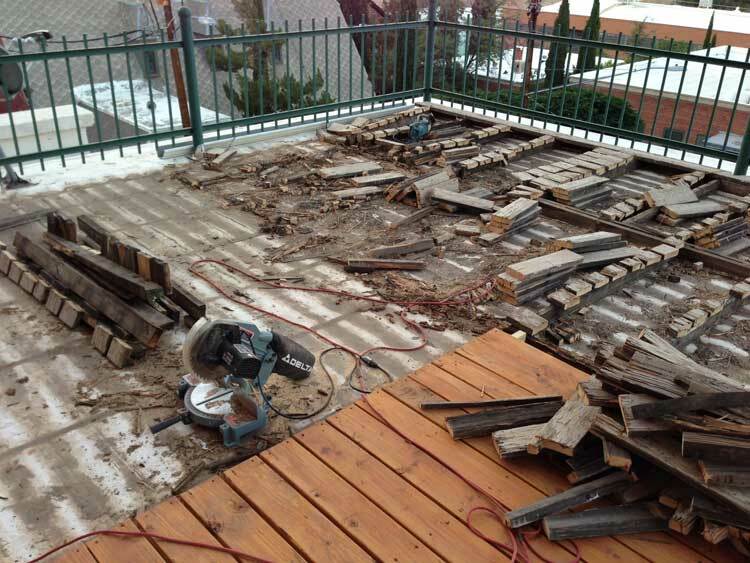 Just the other day, some of my guests were raving about what a beautiful town Bisbee is. I was reminded that last year Forbes Traveler chose Bisbee to be one of twenty “America’s Prettiest Towns”. This bohemian ex-mining town is nestled in the foothills of southern Arizona, just north of the Mexican border. Urban designer Danno Glanz says its colorful characters and western charm, along with “eclectic hillside residential neighborhoods that terrace down the hillside in an organic way” are among the attributes that place it on his list. I love it here and am happy to be part of this beautiful town. Just take a look at the view I get to enjoy every day from my suites #401 and #402!